As one of the most revered premium brands on the market Buick is working to continue to make driving one of these models more interesting and engaging than ever. The commercials we see where the lineup from Buick is less recognizable than in the past because these new models don’t look like a typical Buick has become the basis for a brand that’s excellent to drive. While the brand isn’t bringing us a brand new model, the Buick team is planning something more exciting than what we’ve seen in the recent past from this brand. We’ve seen and heard about the new Buick Regal Sportback that might make its way to the US in the 2018 model year, but if it does this will be a wagon that’s offered with one engine under the hood. That engine is expected to be the 2.0-liter turbocharged four-cylinder model that pushed out 250 horsepower. While this wagon version of the Regal may be the start of bringing back more wagons in the US, it doesn’t give us the feeling that we’ll have a powerful and exciting model, but one that has the added cargo room and capabilities needed for the drive. What will become an impressive model that’s built for a more engaging ride and quality that you want to enjoy on the road will be another version of the Regal. Currently, this new model is considered a rumor, but the 2017 Summer issue of B Magazine, Buick’s own publication, has told us the new model will be one that we can have for the drive. The new model we may see will be the GS which is expected to be a performance version of the Regal, a name we’ve loved for many generations of Buick models. This new GS model is expected to be powered by a 3.6-liter V6 engine that brings in 310 horsepower for the power and performance you want. This car is also planned to have torque vectoring AWD and continuously variable dampers that make use of the Buick Interactive Drive Control mode select system which will have Sport, Touring and GS modes. This will make for an impressively exciting model to drive and one that will easily be the right choice for the drive we want to see and enjoy on the road. 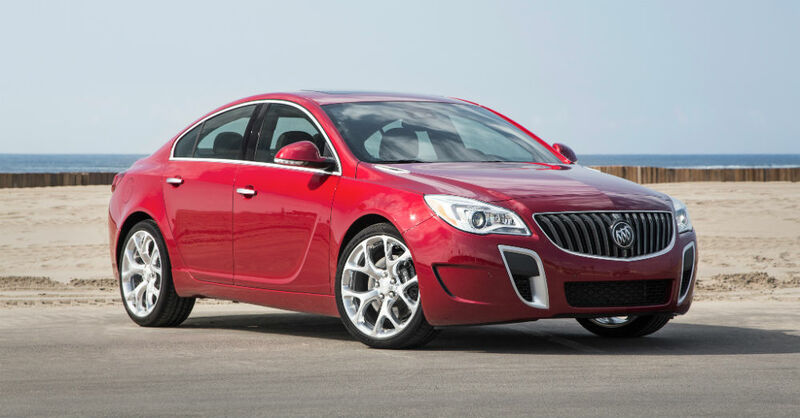 As we’ve asked for many times over its important for us to have the performance to go with the comfort and style that Buick continues to offer. When will we see the new Regal GS and get to know more about it? This car should show up at one of the later shows with the Los Angeles Auto Show as a possible destination in November or the Detroit Auto Show to start the 2018 calendar year. Either way, the new Regal lineup will be one that has everything you’ve been looking for from this brand to give you a quality driving experience and performance from a brand we’ve trusted for many years and is now heading toward something new and better for use each year.